Convert Gmail emails to PST file format in Outlook 2016, 2013, 2010, 2007 & below versions. One of the best Windows Gmail Backup software for archiving mailbox items to MS Outlook account. Windows Gmail Backup Utility can archive Gmail emails, contacts, calendars, documents etc. in Microsoft Outlook 2016, 2013, 2010, 2007, 2003 versions. The MS Outlook installation is necessary for downloading Gmail items. 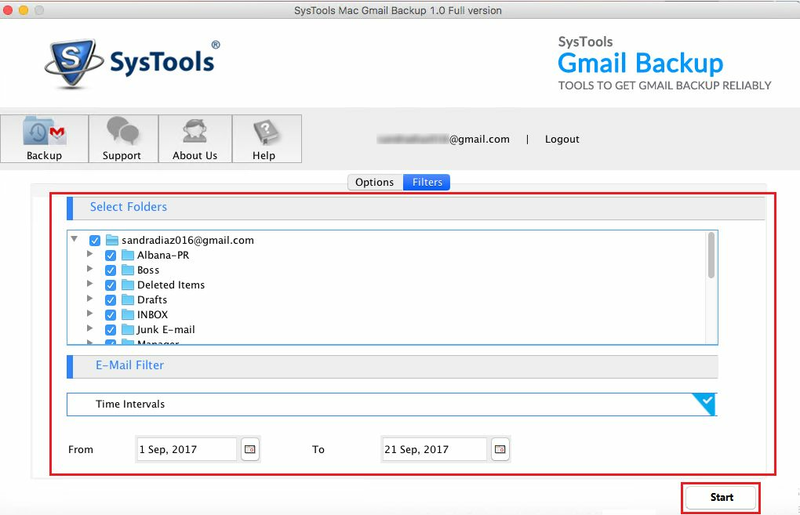 The tool provides various alternatives, with the help of which users can easily customize the mails for Gmail backup process. 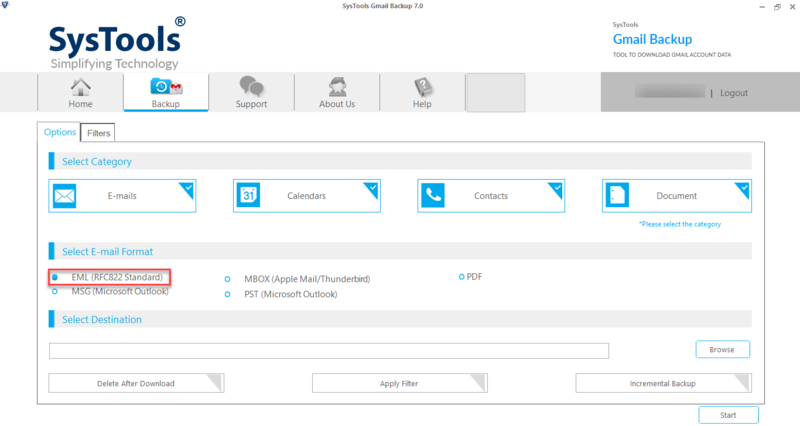 The mails can even be filtered on the basis of folder selection or through the date filters for Gmail to Outlook PST. The program downloads particular folders or saves the mails that are of that particular date range. Products provides option to archive new or interrupted Gmail data with Incremental Backup features efficiently. Gmail Backup software allows the user to take backup of Gmail in formats such as Gmail to Outlook, EML, MBOX. One can choose any desired format. There is no limitation on number of times and different formats. It's totally upto the user needs and requirements. The Tool provides user authentication which allows the user to choose 'Accept' for permitting the software to take backup. After then Gmail Backup Software will able to access or backup user Gmail account data. It can easily export Gmail to EML, MBOX or PST. Filter option is useful to take the backup of Gmail emails within a specific date range. Filters save the time of unnecessarily downloading the entire backup of gmail to eml, outlook, mbox. 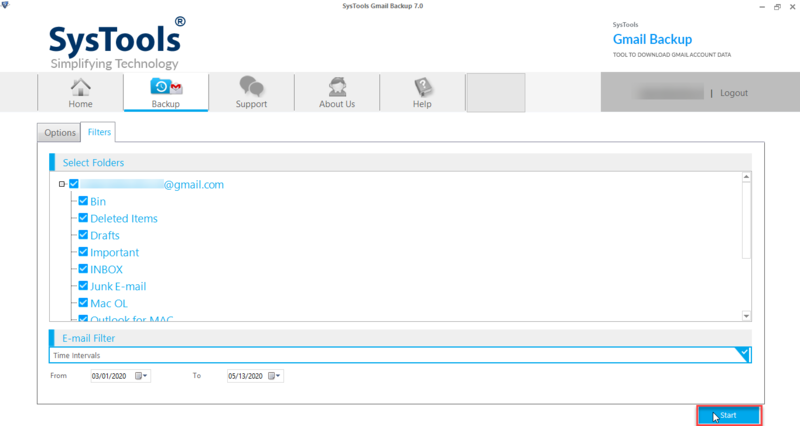 The Tool also backup the Gmail contacts and calendars, with vCard and ICS file formats respectively. Tool Exports Contacts and Calendar of Gmail to PST, EML, MBOX. Specify the percentage of total Internet Bandwidth that you want the gmail backup software to consume. Time slot setting use for a specific amount of bandwidth according to the requirement by providing a "To" & "From" time slot of hours and minutes. 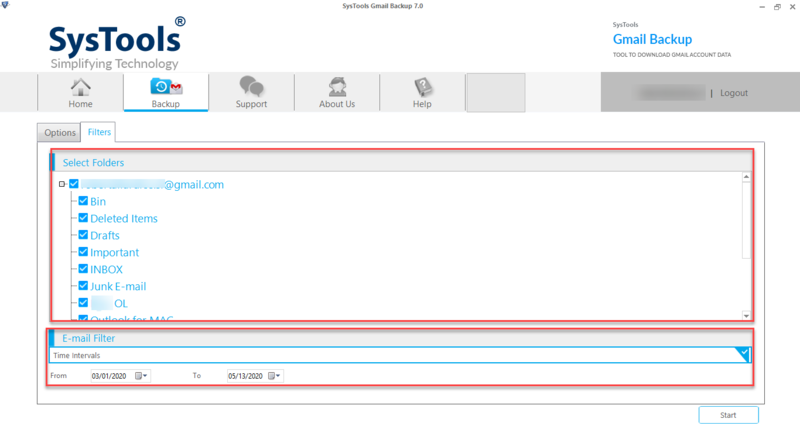 Gmail Backup Tool provides Pause and Resume option, for uninterrupted download of Backup of Gmail to Outlook, EML, MBOX. Even when the internet connection is too slow or cut, software automatically pause the process and resumes when resolved. 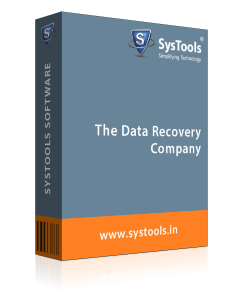 The Tool provides complete Backup Status Report such as email count, calendars count, contact count, document count, status & action when the backup process is going on. The Tool provides very easy to use user interface. Technical and Non-Technical people, both can use this interface very appropriately, without any difficulty. Anyone can Backup Gmail Accounts to Outlook or other desired formats. Step 1 : First Window after installation of Gmail Backup Utility. Gmail Backup Software provides multiple languages such as English, Spanish, German, Portuguese and Japanese select the language as per your convenience. 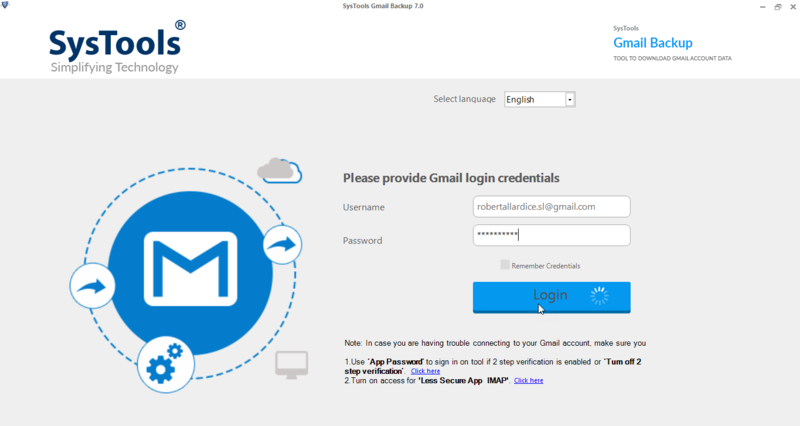 Step 2 : Enter the Gmail id and password to login into tool. Step 3 : The pop-up message will display "You will be redirected to the browser for authentication". Click on OK button. Step 4 : Sign into Gmail account. Step 5 : Click on Allow button while the Software asks for authentication. Step 6 : Then You will automatically redirected in to the Gmail backup software interface. Choose a required output file format from: EML, MBOX, MSG & PST File to store the emails. Step 7 : Select a backup destination location on the local machine where you would like to store the backup. Step 8 : This option helps to delete the data from server after its backup has been created. Apply Filter helps to selectively download gmail emails for backup using previously defined Filters. Step 9 : After click on the Filter Options Select Folders option provides to select the folders from Gmail account to be backed up. Time Interval usefull to backup emails from a required date range by mentioning “From” and “To”. Step 10 : Preferences option is use to Incremental Backup. Step 11 : Click on Start button to start the Gmail Backup process. Step 12 : Tool provides the facility to check the downloading process with Counts, Rate, Progress, Current folder name, destination path and also displays the connection status respectively. Step 13: After Successful completion of the backup process, then the software displays “Download Completed Successfully” message.Click OK to continue further. Step 14 : Preview & check the Result of Gmail backup process. 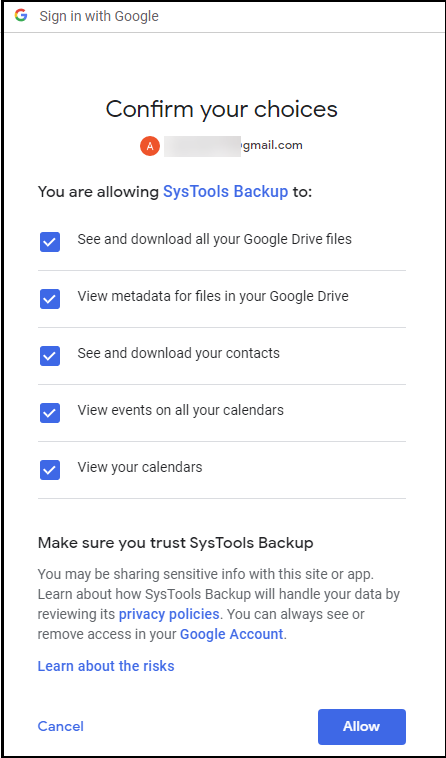 Navigate to the given backup destination location where the tools has backuped a local email backup of your Gmail account. Can I get my Gmail account configured on my machine? “I am very much scared of losing any information related to the mail accounts. I want to keep the entire backup in my system so that I can have access to emails all the time even if the account gets hacked. So, is it possible to restore the account in my machine?" Yes, using the utility, you can easily perform the same i.e., get your account configured in the device. Is there any way through which I can get access to my mails on Mac OS? Can I transfer all my emails from Gmail to my local machine? 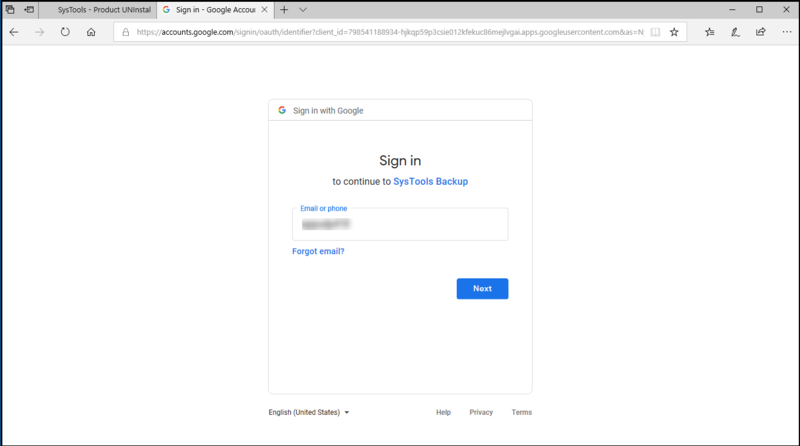 "I want to transfer my Gmail Account Backup to my personal computer as it is becoming very difficult for me to carry it in cloud." Yes, the Gmail Backup Tool will provide you to transfer all your Gmail data to your local machine or you can also transfer your data to another computers through pendrive. 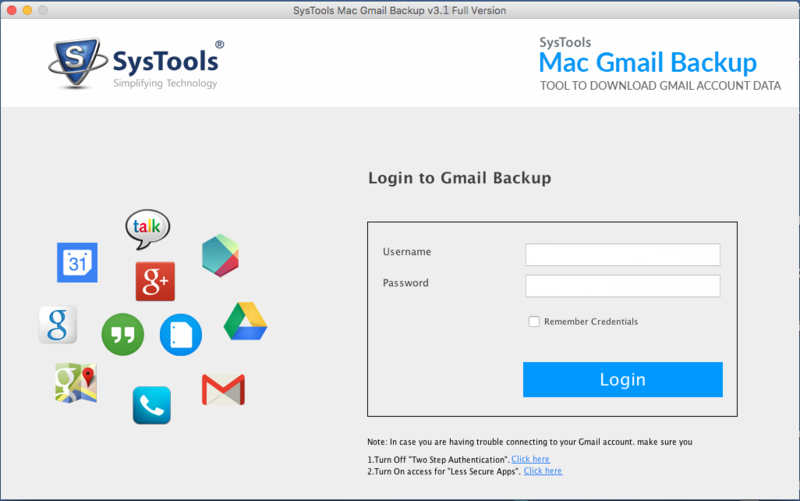 Gmail Backup for Mac is a comprehensive software to create backup of the Google cloud data. 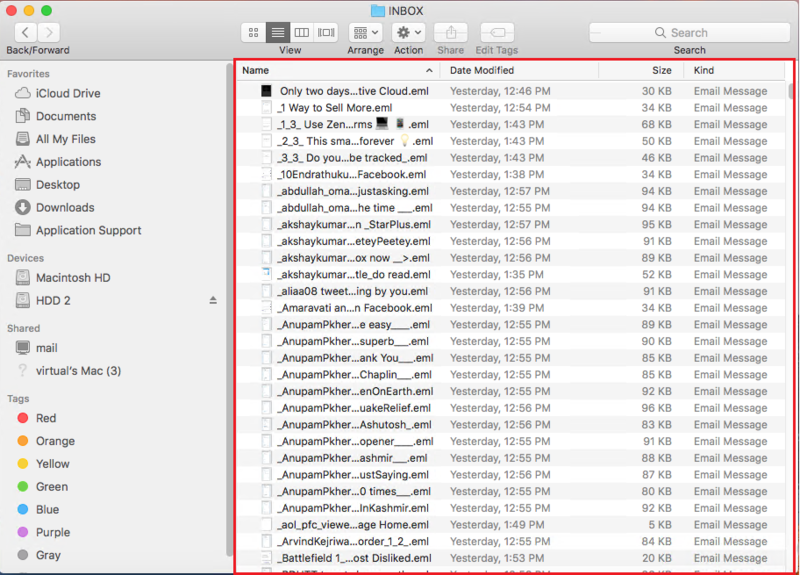 The application creates a copy of emails with attachments on Mac OS X system. 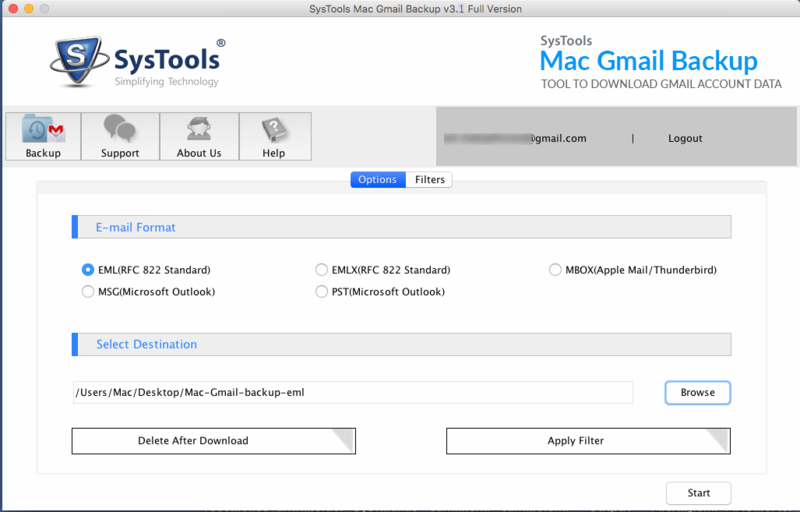 The product renders a simple approach to create backup of Gmail account on Mac OS X. It requires Gmail account credentials of an individual account whose emails are to be downloaded on the Apple PC. The utility offers two selective filtering option i.e., Folder wise and date filtering. Folder filtering will permit users to download emails of only wanted Gmail mailbox. On the other hand, date filtering will be downloading emails of certain time duration. Gmail Backup software for Mac is providing an effortless way to carry out backup procedure in a desired manner. One can pause the procedure in between and resume it, even if the tool was closed. The tool exhibits a unique feature to delete data from the Google server, once it gets saved on the local hard drive. One just needs to check the checkbox of Delete after download and then, software will automatically attempt its responsibility. Mac Gmail Backup tool exhibits feature of backing up data from multiple Gmail accounts at a time. Users just needs to render credentials of all Gmail accounts and then, proceed further with Gmail backup in desired file format. The software directly directs toward the web-page for an O-Authentication. Basically, here an individual has to give permission to the software that it can access Gmail account for downloading data locally. Application will keep the shared account credentials safe and secure throughout the procedure. 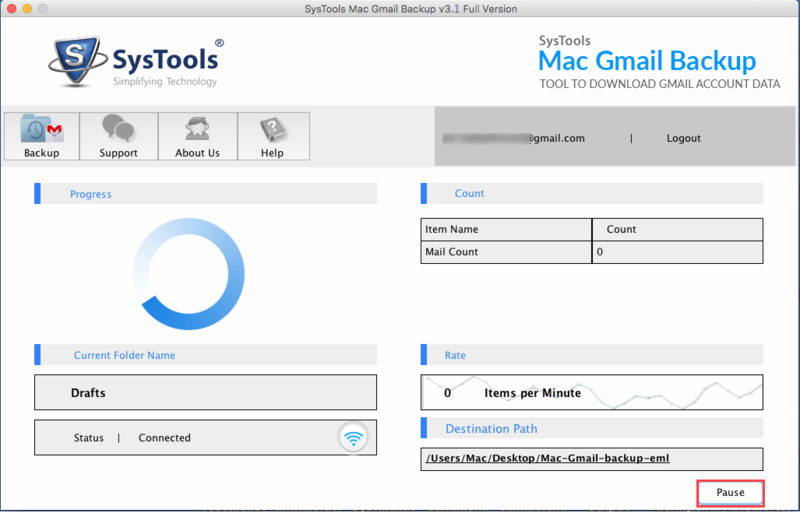 Management of the internet bandwidth is possible by this Gmail Backup software for Mac. It provides throttling setting wizard where one has to mention the percentage of entire internet bandwidth, which can be used to create backup. 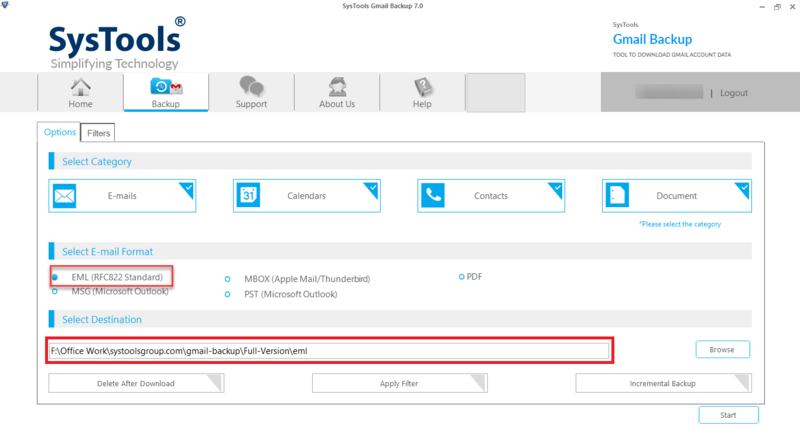 Step 2 : Click on Browse button to navigate towards the path where backup file is to be saved. Step 5 : Mac Gmail Backup tool will start downloading Gmail emails to hard drive on Mac. Step 8 : Verify the backup procedure by going towards the Mac machine path where the backup file is created. Watch!! How to Export MAC Gmail to EML? Is it possible to download emails from multiple Gmail users, if I provide Admin credentials to the software? “I am having credentials of many Gmail accounts user from my company. And I need to archive emails from all these accounts for a bussiness purpose. And I am having Admin credentials also with me. Now I need to know whether I can use this application for this?" Ans: No, till now, our Mac Gmail Backup tool is capable of downloading messages from one user account at a time. If you are looking for solution to create backup file from several accounts then, you can opt for our Gmail Backup utility for Windows OS. How much time will it take to download Gmail emails to hard drive on Mac? Ans: Well, this things is totally dependent upon the internet speed and amount of the account data. There is no fix duration, which we can render you guys for awareness purpose or any other. 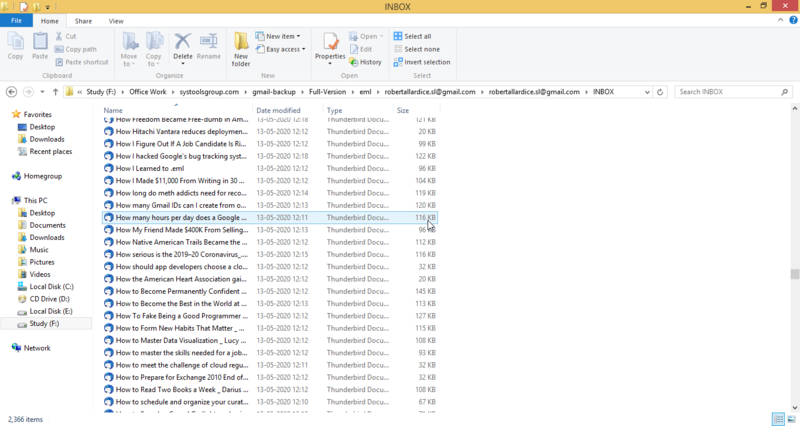 Will it be possible to access resultant EML files on Mozilla Thunderbird for Windows 8? “I have convert Gmail emails into Eml format using Mac Gmail Backup Tool. And now I need to transfer this EML files into Mozilla Thunderbird on Windows 8 operating system”. Is this possible? Ans: Yes, of course, the output EML files of our Mac Gmail backup tool will easily be workable on all its supportive applications. Email clients like Thunderbird, WLM, free viewers, etc., will support the files without any interruption. Is their need to have any supportive email client installation for the program? Ans: No, our tool offers a standalone solution to download Gmail emails to Mac. You do not have to worry about any supportive application for working of our product. 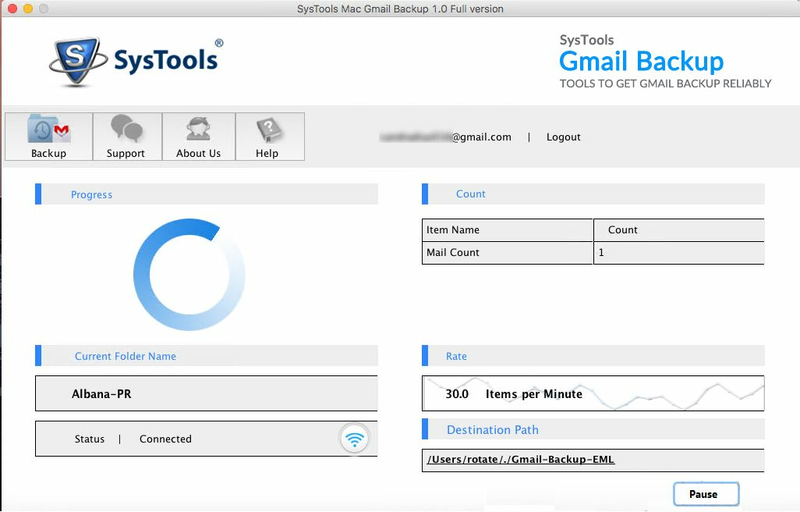 Purchase License of the Tool to take Gmail Backup in PST/ EML/ MSG/ MBOX. We have assisted many users in our organizing using the tool in a very short time period. The output obtained by the tool is brilliant in terms of accuracy, speed and safety. 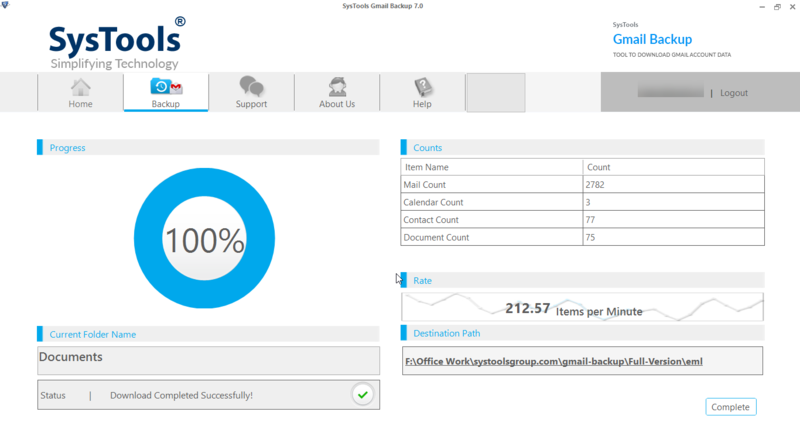 The tool is a most valuable resource that helped us to backup gmail to outlook. This Gmail Backup Software automates time consuming tasks, work smarter, perform in depth analysis. It is efficient, keeps user happy so that they can spend more time to reach their goal. It perfectly backup and export gmail to mbox and provides a seamless access to the client. I have been worried about the process of backup of gmail to eml. I was always conscious in case if the Gmail account gets hacked what should I do? Then one day while surfing, I came across the Gmail Backup Software. What the software did was just a miracle. Thanks team for incarnating such a product.